A true pirate adventure! 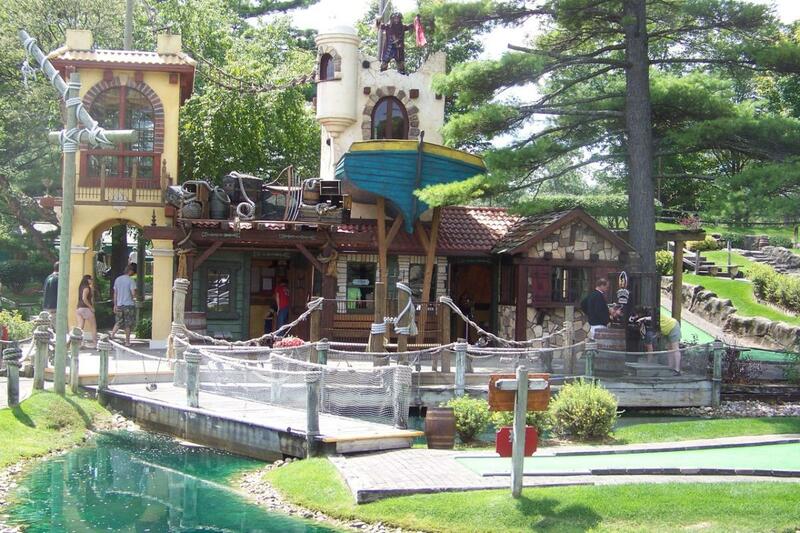 Pirate’s Cove Adventure Park offers a variety of attractions sure to thrill pirates of all ages. 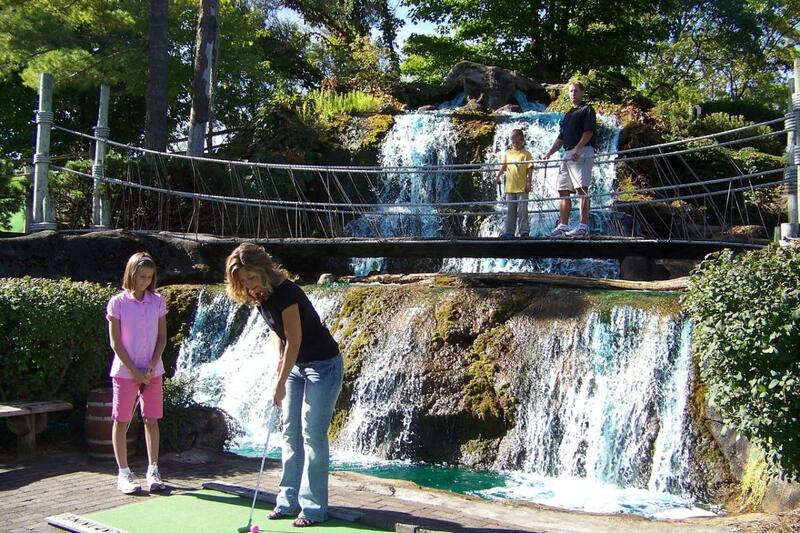 Visit one of Traverse City’s favorite family destinations! 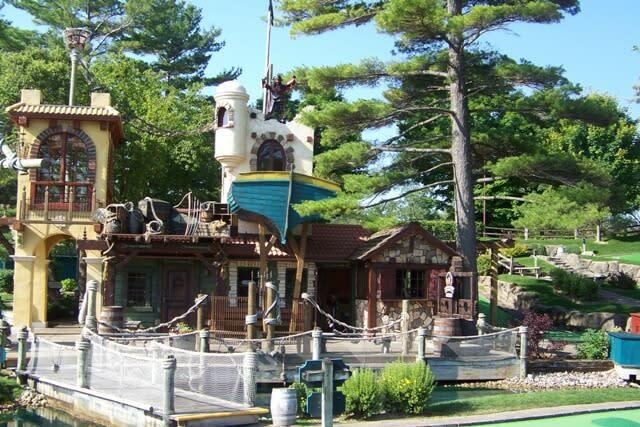 Putt your way through the world of 18th century buccaneers on two award-winning adventure golf courses. Learn of legendary pirate exploits as you wind your way through mountain caves, over footbridges and beneath cascading waterfalls. Looking for even more adventure? 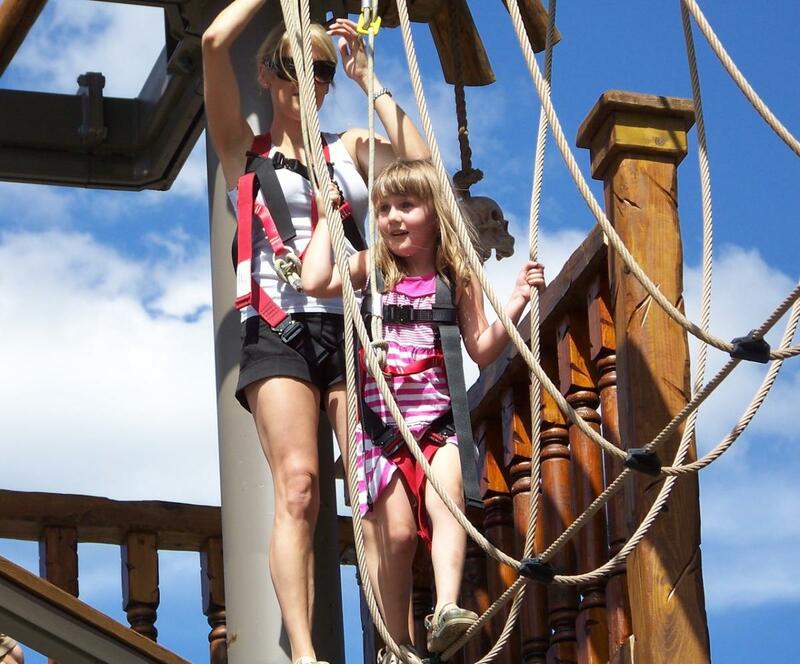 Safely snap into our lofty pirate rigging, step off the plank, and soar through the air on our zip line. 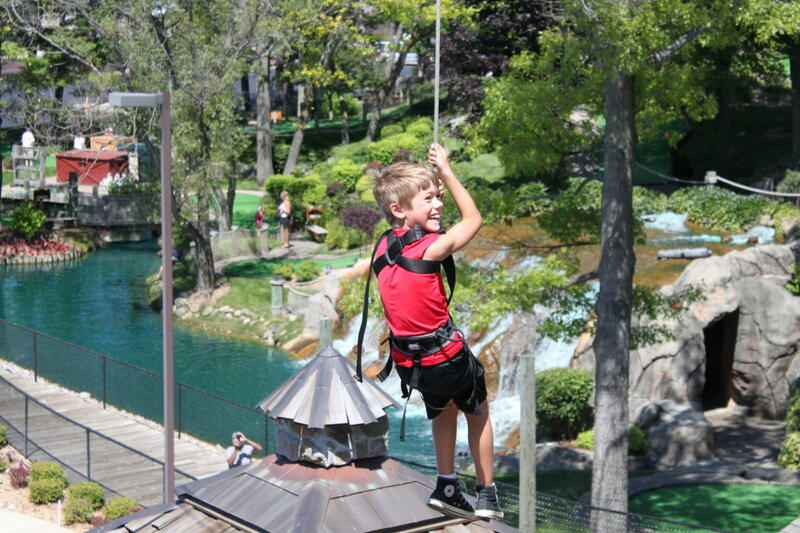 Or try our thrilling high ropes course, situated up to 33 feet off the ground! Navigate your way through a series of rope obstacles and discover your inner pirate as you enter a hidden buccaneer’s roost—located high in the rigging of an old ship wreck. 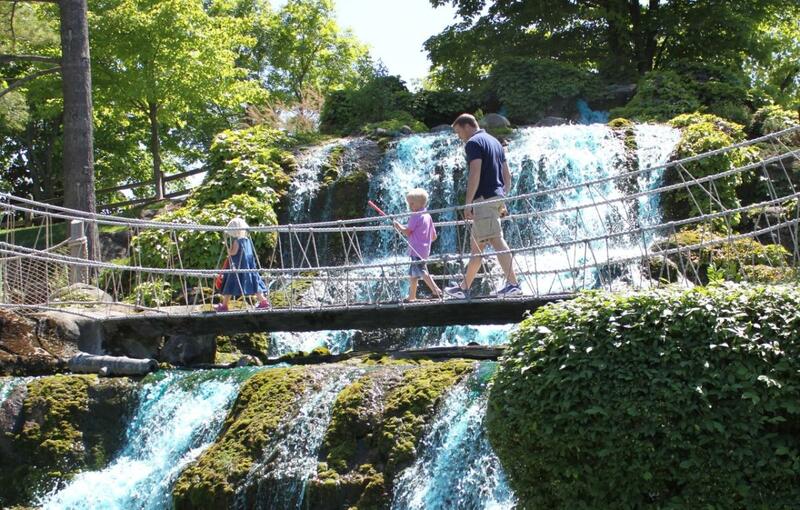 Both of these exciting attractions are fun and safe for all ages. 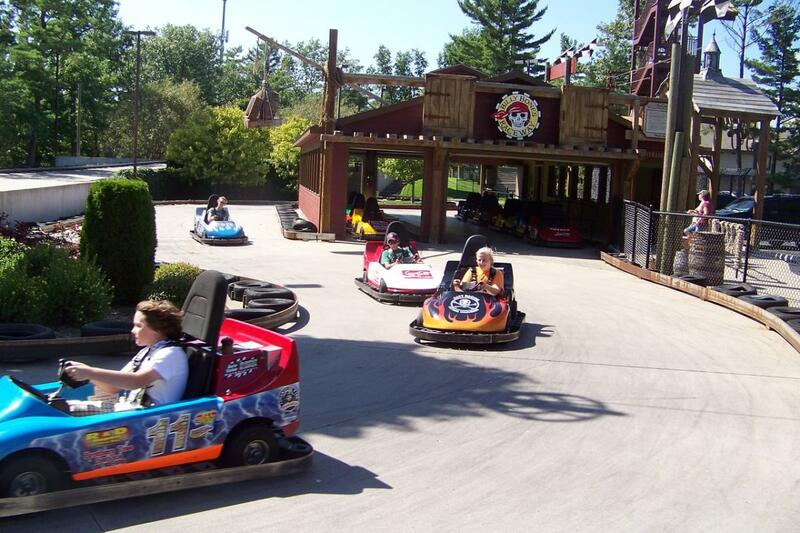 Then, hop behind the wheel and experience the rush of car racing on our Billy Bones Raceway go-cart track. Speed through twists, turns and dips on our 830-foot track. Two-seat carts are available for younger pirates. 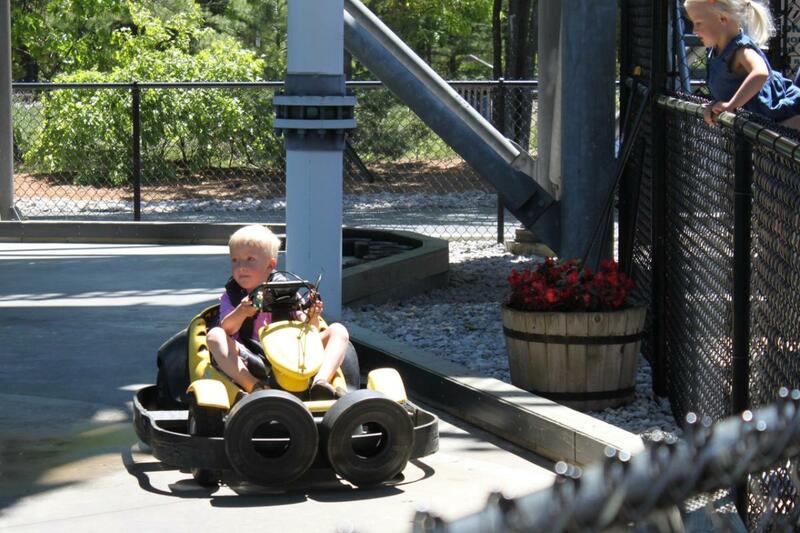 Or they can pilot their very own kiddy go-cart on our special track designed just for youngsters! Need to cool off? 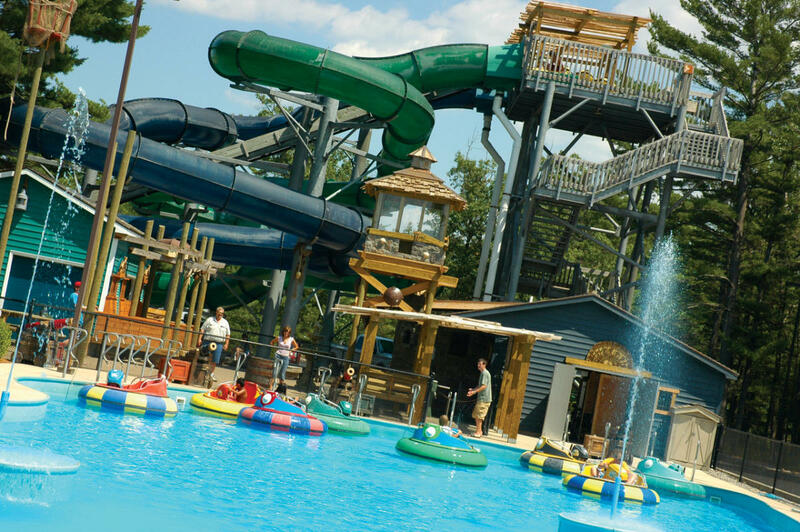 Beat the heat in our bumper boats that rock, spin and spray. Battle your friends with the attached squirt guns in the hottest and coolest boats in town! Visit us today! Swashbuckling fun for the entire family!